Sneaky dog wants some bread! At first, you can’t see in him that he really wanted the bread so much. His owner left a bread in the table and he was just looking at it uninterested, but as soon as his owner turned his back… he excitedly jumped a couple of times to get it. He really wanted it so bad that he keeps on trying until he successfully get it. When dogs really wanted something, they will get it by all means. Dogs are pretty stubborn too when it comes to food… especially if its their favorite food. So never ever leave your food unattended or it will end up inside their tummy. 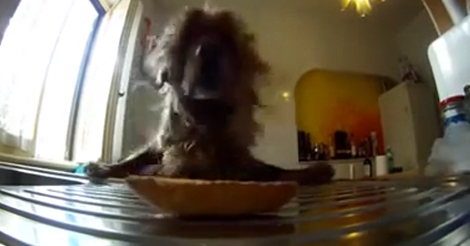 Watch this dog attempts in getting the bread from the table. This dog is determined to get what he wants no matter how hard he has to try! You can just hear him saying “I’m gonna get you, I’m gonna get you!”. 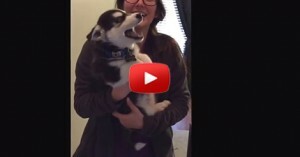 This video brightened my day did it brighten yours? Do you have a dog that’s sneaky and determined? Share this video with your friends for a great laugh and let us know in the comments about your funny dog stories!